In addition to our Community based services we also provide additional capacity services for NHS Hospitals. Our work focuses around ensuring high quality, safe and efficient services to patients whilst reducing hospital wait times. Working with hospitals we provide suitable services to meet their needs and the needs of patients. Shrewsbury and Telford NHS Trust have partnered with HealthHarmonie our Community provider, to assist in the delivery of Dermatology provision to our patients. 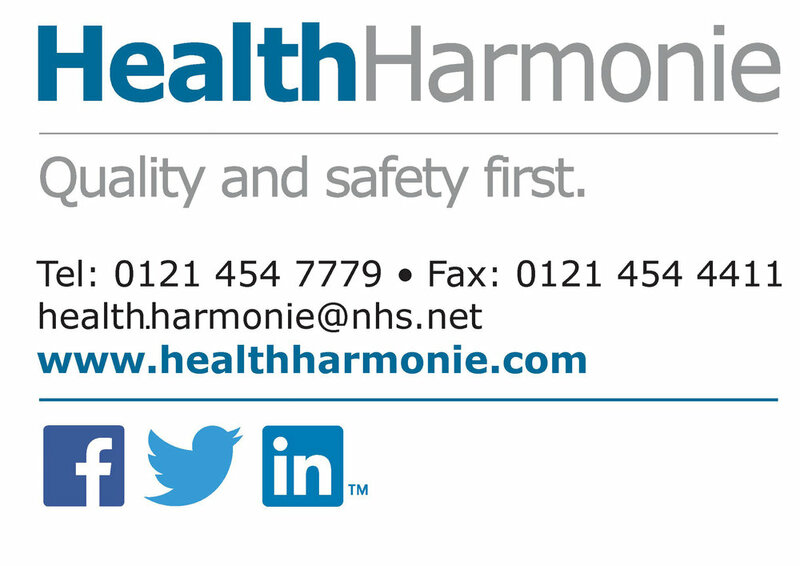 HealthHarmonie is a well established healthcare provider, who work exclusively with the NHS, supporting the high quality delivery of patient care. As partners SaTH and HealthHarmonie will work in conjunction to ensure patients with Dermatological conditions are seen efficiently, with locations clinics now being extended in to the local community.